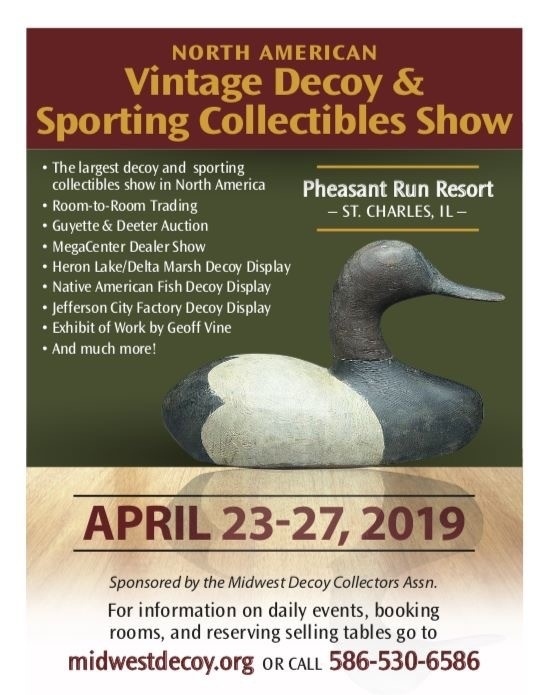 The North American Vintage Decoy & Sporting Collectibles Show, sponsored by the Midwest Decoy Collectors Association, will be held April 23-27, 2019 at the Pheasant Run Resort in St. Charles, Illinois. This show is the "granddaddy" of all sporting collectibles shows. 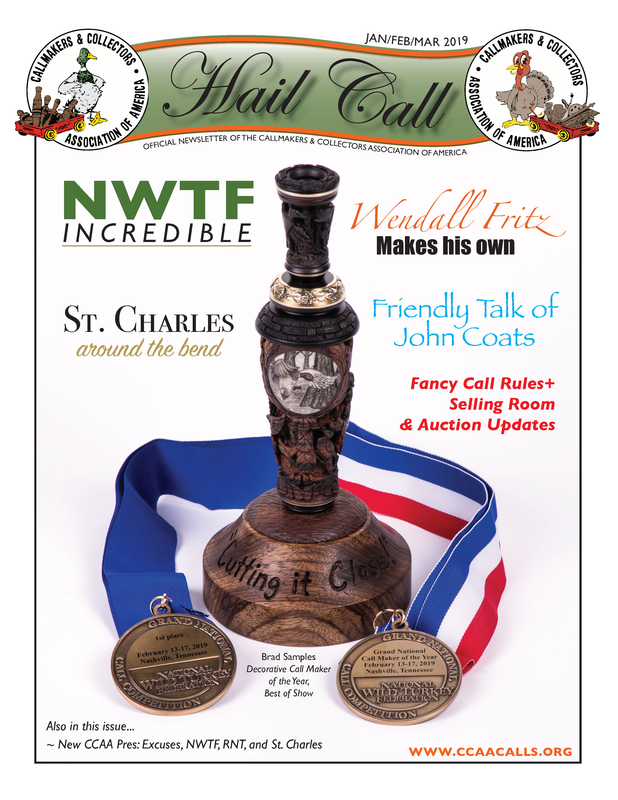 There is literally something for every collector of vintage hunting collectibles at this show. The room-to-room trading is always fascinating and you truly never know what treasures might show up! The Mega Center dealer show takes place on April 26th and 27th. Guyette & Deeter hold their largest annual auction on April 25th and 26th, with an auction preview party on the evening of April 24th. 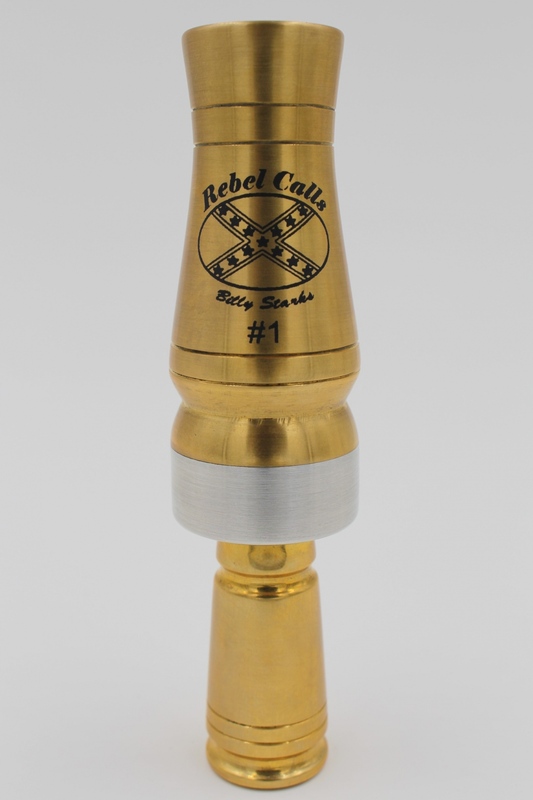 This year's auction has a nice group of vintage calls. The annual CCAA Pizza Party and Auction will take place in the New Orleans room of the Pheasant Run Resort at 6:00 pm on April 25th. The CCAA annual business meeting follows in the same location the next morning at 8:30 am. Check in for calls entered in the CCAA fancy call contest will be between 7:30 and 8:30 am, immediately prior to the business meeting. As always, we are looking for interesting content for the newsletter. If you would like to submit an article or pictures to be in the fall newsletter, please fill out the following form and it will be received by our Editor, Eric Nelson. submit article link. All you need to do to Join CCAA, is fill out the online Application. You can make payment by using PayPal or by check.